Three-bedroom executive with three queen beds and sofa sleeper, lakefront on Big Round, two-story loft, two baths with Jacuzzi tub in loft , two fireplaces, high-speed Internet. 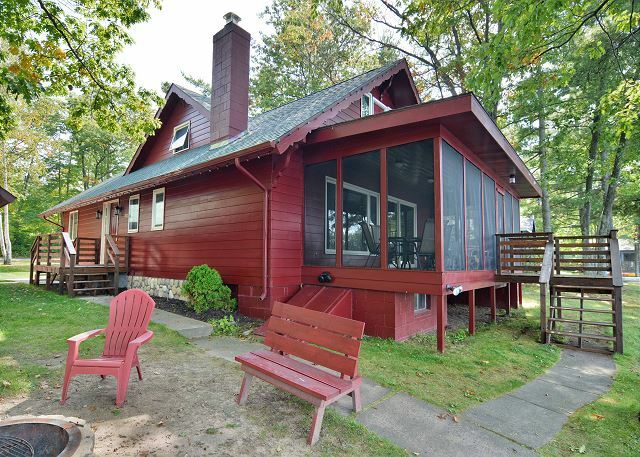 Three-bedroom executive with three queen beds and sofa sleeper, lakefront on Big Round, two-story loft, two baths with Jacuzzi tub in loft, two fireplaces, high-speed Internet. 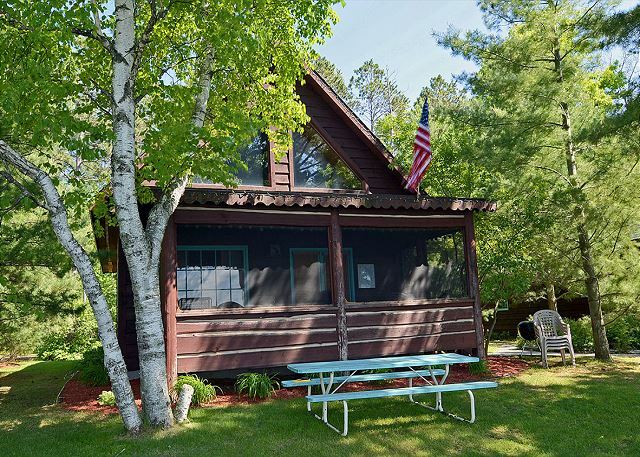 Charming 3 bedroom, 2 bath cabin rental on the pristine shores of Round Lake's Musky Bay. 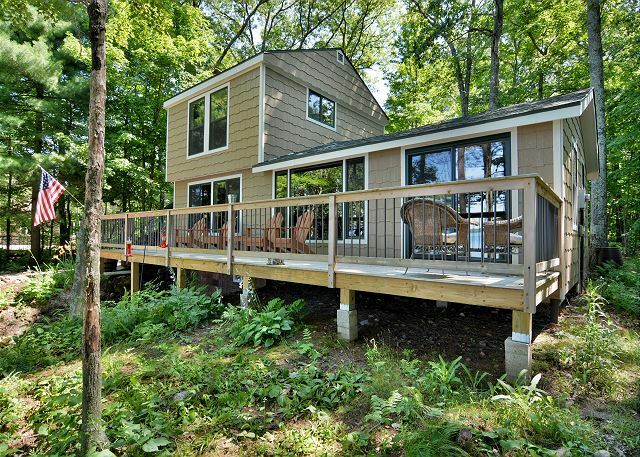 Enjoy great sunsets, good swimming and excellent boating on this 3,200 acre clear water Hayward, WI lake! No Pontoon included with rental. 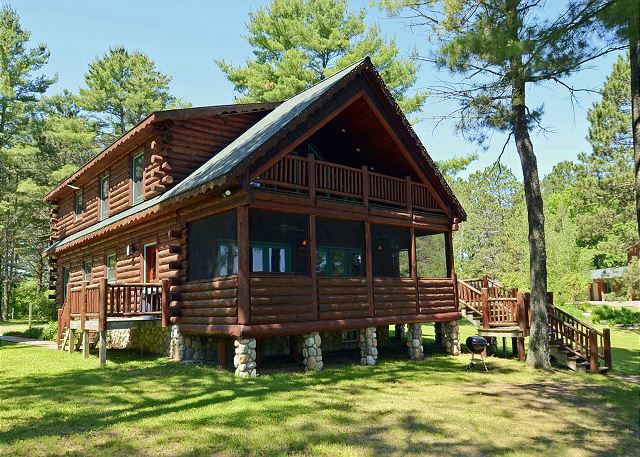 Three-bedroom executive with one king bed, five queen beds, lake front on Big Round, two-story, two baths, one gas fireplace. Three-bedroom presidential with three queen beds and sofa sleeper on each level, lake front on Little Round, two-story loft, screened porch, balcony off the loft, two full baths, Jacuzzi tub in loft, fireplace on each level, dishwasher.